Here is a simple recipe of how to make bread cheese balls at home. 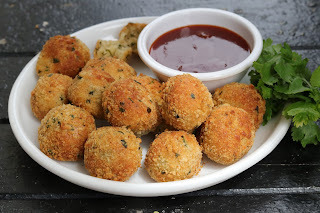 Homemade cheese balls are crispy and tastes yummy. Cheese balls recipe is perfect as a cocktail party snack. This is a healthy airfryer Indian snack recipe with no oil at all. 1. In a bowl mix all ingredients together to form a dough like mixture. Use very little water. 2. Prepare small balls with the mixture. Ensure that the surface to be smooth without any cracks. 3. Coat each ball with milk, then in bread crumbs. Air fry the balls in preheated airfryer at 180 degrees for 5 min first. Then shake the basket and again airfryer for 5 min till crisp. 4. Serve immediately with ketchup or green chutney. 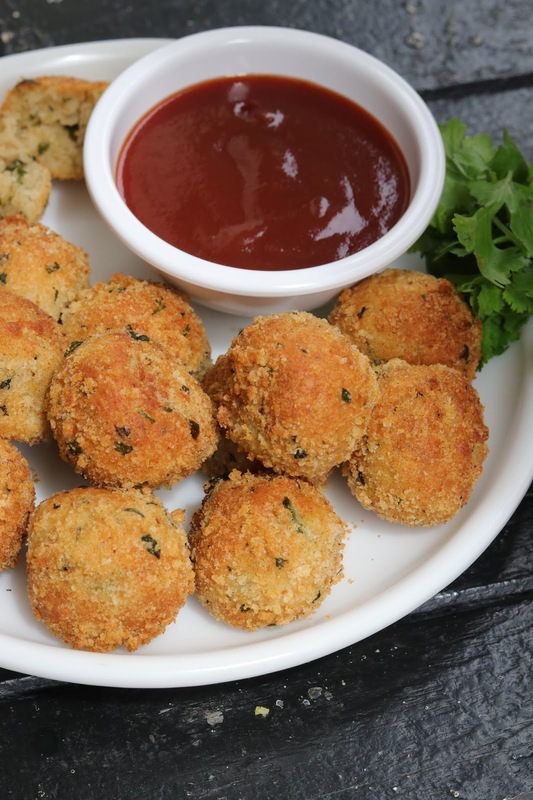 Sounds so yummy and the best thing is that this Cheese balls recipe is not too difficult. I am just making plans for the fabulous DIY pre Christmas party on this weekend at the garden inspired LA venue so I am making a list of the easy party snacks. If you have some more, please let me know.